Carousel Twist Pile Bedroom Carpet in Mushroom Beige (91). Bedroom carpets with a 12mm depth and a soft twist pile. 4 meter wide bedroom carpet with a hessian backing and a 5 year guarantee. 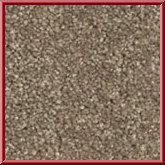 Carousel Twist Pile Bedroom Carpet in Mink Brown (92). Bedroom carpets with a 12mm depth and a soft twist pile. A huge collection of carpet available online at Abbey Carpets. From pinks and blues to golds and silvers. Carousel Twist Pile Bedroom Carpet in Saddle Brown (95). Bedroom carpets with a 12mm depth and a soft twist pile. Available in 25 colours. A huge collection of carpet available online at Abbey Carpets. Bedroom Carpet Carousel in Blue (81). Bedroom carpets with a 12mm depth and a soft twist pile. The selection of pinks and blues makes this carpet absolutely perfect for bedrooms.